The Tudor monarchs and their courtiers are some of the best-known figures in history. They continue, even today, to spark our curiosity and imagination. Their enduring popularity is no doubt partly due to the iconic portraits in which they are depicted in magnificent style, in farthingales and ruffs, furs and jewels, codpieces and cloaks, and vast expanses of velvet and silk. Far from being mere decoration, fashion was pivotal in the communication of status and power. It was used as a tool in securing and holding the tenuous Tudor throne and as a competitive weapon in the factions, intrigues and love-affairs of the court. 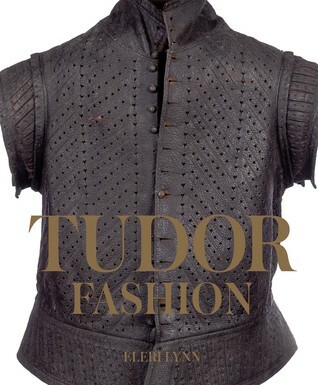 Tudor Fashion was a fun and insightful read that kept me turning the pages. It was great to learn about the items of clothing in the context of the political situations at the time that affected the fashions of the day. The book also offered a great overview of the different pieces of clothing and styles, making this a great resource for the historical fiction author as well as the social historian. Obviously this book focuses on the court--royalty and nobles--and at times I yearned to know what the working class people were wearing at the time as well, but perhaps there's another potential book there in the future! For now, what this book sets out to do it does well, and no one interested in historical costume would be disappointed if they picked up this title.